Beyoncé‘s historic headlining performance at last year’s Coachella Valley Music and Arts Festival came to Netflix today (April 17) in the form of a documentary, HOMECOMING, that covers the magic behind the moment and the larger-than-life show. As if one Beyoncé release isn’t enough to send the internet into a frenzy, the legendary singer has decided to gift the world another –a live album of the experience, HOMECOMING: THE LIVE ALBUM. Prepare to hyperventilate. The surprise LP runs for 40 tracks and covers the massive setlist that saw her prancing across the stage in majestic outfits as she belted out her biggest hits. 38 of the cuts here are from the live show. 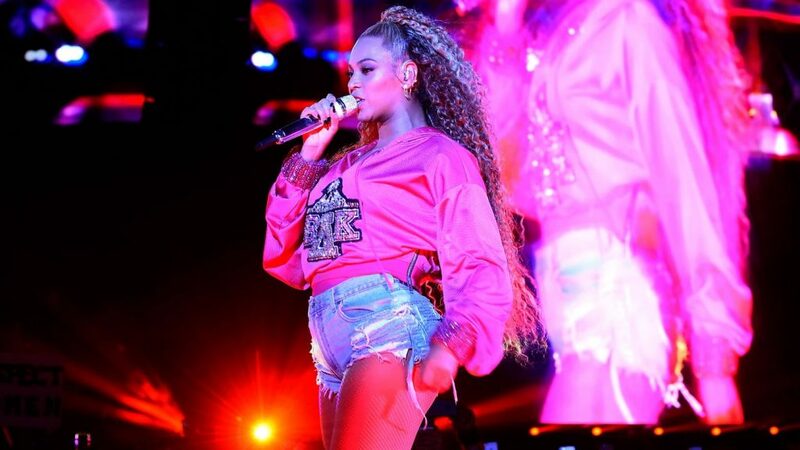 The remaining two are new recordings; the first is Beyoncé’s cover of Frankie Beverly and Maze’s 1981 hit “Before I Let Go.” She brings a calming, contemporary energy to the summer-signifying record. The second of the two is a recording of her daughter Blue Ivy singing “Lift Every Voice And Sing,” the poem written by James Weldon Johnson in 1900 that Beyoncé sung at Coachella last year.